“Beyond: Two Souls,” the second PlayStation 3 exclusive to come from French video game developer Quantic Dream, has yet again crafted a compelling and fascinating story. Quantic Dream already proved their ability to tell a story with the critically-acclaimed “Heavy Rain,” their first venture into PlayStation 3. Director David Cage did not disappoint with Quantic Dream’s newest installment, which features Ellen Page and Willem Dafoe as Jodie Holmes and Nathan Dawkins, respectively. This is not the first time a video game has used the likeness of a celebrity for promotional purposes, but it is the first time they have done so with substance. The game is played as if the gamer were watching a movie with some control over the outcome. 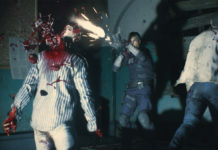 “Heavy Rain” was built using this tactic as its selling point, with the ability to kill off any of the four main characters and change the entire outcome of the story. 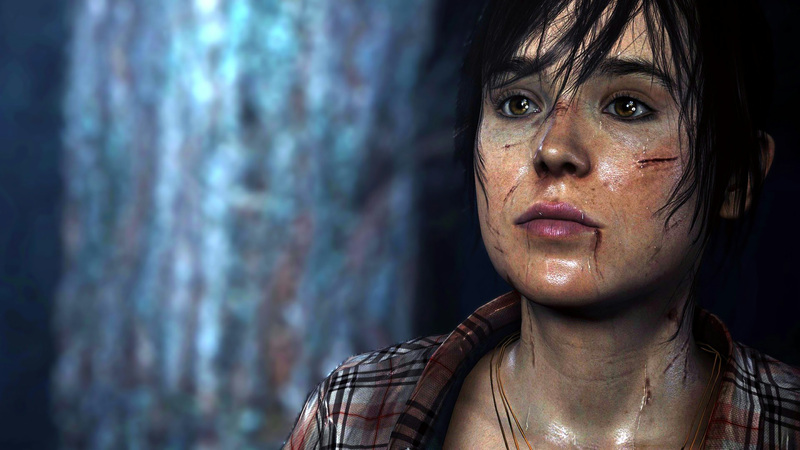 However, Jodie is the only playable character in “Beyond: Two Souls,” which makes the interactions and the ability to change the outcome of the game’s plot seemingly more limited — but upon progressing through the game, you realize that many of your actions do have an equal reaction, even if only through the subtle changes in Jodie’s relationship with others. The story follows Jodie’s life and her gift of having an entity, named Aiden, directly linked to her, giving her seemingly telekinetic powers. She is used by the CIA for her powers, goes rogue and flees from the U.S. government. But ultimately, the true question is why Aiden is attached to her, and the mysterious secrets that surround his origins. At first, the plot is seemingly a pointless blend of memories, but it quickly exhibits the reasons behind the nonlinear plot structure. It emphasizes all the main points of her life and does so very well, drawing everything from excitement to sadness out of the player. 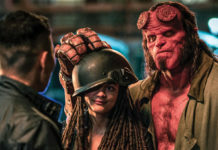 The purpose of the nonlinear structure is to connect the player to Jodie; with every jump of her life (which is split into her adolescent, teenage and young adult years), there is an emphasis on certain occurrences in her life. Throughout the game, there are many choices the player must choose, which may change the game’s progression. For example, the player is given a choice to make a homeless Jodie steal money for food, or earn it in a much more honest way. Quantic Dream also introduced a new combat system. Instead of straightforwardly following the buttons on screen that give the gamer a button to mash, the new combat system slows down time and offers the gamer a chance to think about what to do with a simple directional flick of the analog stick. The action scenes look amazing, but the system simply puts you right into the action with no clear indication of which direction you should move –– which results in a lot of wrong directions. The new system will be good for some because the events are unexpected, but it also seemingly falls short for gameplay because of this lack of predictability. The general controls have also changed drastically from past work by Quantic Dream, with movement being purely through the analog stick. However, the controls still have issues; the way the characters walk makes sharp turns impossible and leads to occasionally awkward character control. The attempts to fix these glitches are apparent with fewer moments of being stuck in corners, but it still is not as fluid as other games. However, this did not cause me too much trouble. The graphics are revamped; the textures and backdrops are much more varied. They really show how richly detailed a world Quantic Dream can create, pushing the limits of PlayStation 3’s computing and graphical power. The character models got a facelift, literally, because the textures of faces in this game showed even more detail, with Ellen Page’s true skin texture and pores seen in semi-close-up shots and even slightly in shots that were farther away. The game takes you through many different locations and vast landscapes, demonstrating the developer’s tedious attention to detail, which pays off very well in the end product. “Beyond: Two Souls” is another great video game from Quantic Dream, and proves that they are not just a one-hit wonder. The unique plot structure proves to be its strong suit and distinguishing characteristic –– not to mention the game’s cinematic experience, presented in the same cinematic 2.35:1 aspect ratio in which most Hollywood movies are shot. The game is a technical masterpiece and provides a fresh experience if you want to try playing it again, choosing different actions to vary the story’s progression. It is an adventure that everyone should truly experience, and alongside Jodie, makes you realize the roughness of real life and growing up.